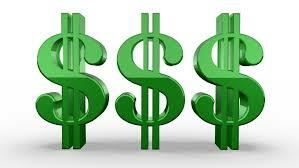 Dues: The most common form of financial support is the payment of dues. For the AKAA, that’s $25 a year. It’s imperative everyone pay their dues if you truly believe in the Auburn Knights, its traditions, and our mission to continue supporting the current Auburn Knights Orchestra and its musicians. The bad news is that many of our AKAA members seem to think the payment of dues is optional. Or, dues only need to be paid when attending our annual reunion. Of the 419 names listed in our cur-rent membership roster, only 77 are up to date on their dues. This doesn’t bode well for our future. 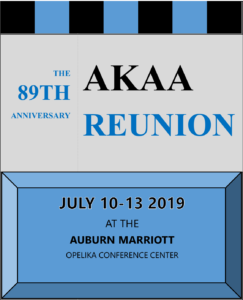 If your AKAA membership is not up to date, please mail payment of your annual dues to Wade Johnson, AKAA Treasurer, using the form at the bottom of this page. Annual Giving: Many of you make annual charitable contributions to organizations you value such as colleges, universities, churches, political organizations, and fraternal orders. Some give for tax purposes. Remember, the AKAA is a 501(c)3, charitable organization, and thus, your donations are tax deductible. Any annual gift you can make—from $100 to $1,000 or more, would greatly benefit the organization. You can even designate that your gift for the General fund and/or the Scholarship fund. Planned Giving: Planned Giving means supporting the organization after you have departed this amazing planet. Which is to say, planned gifts are those that you include in your Last Will and Testament. As they say, you can’t take it with you, so you might as well think about this groovy organization that meant so much to you in your early years as a swinging cat (channeling my inner Charlie Wood here). Seriously, monies you leave to the organization can and will make a major impact on programming and our ability to keep the current Knights in business. Please consider including the AKAA in your Will and/or asking for donations to the organization in lieu of flowers. Again, the AKAA needs your support. Please remember that this membership organization does not have an endowment and depends upon everyone for our ability to continue to swing each and every year.